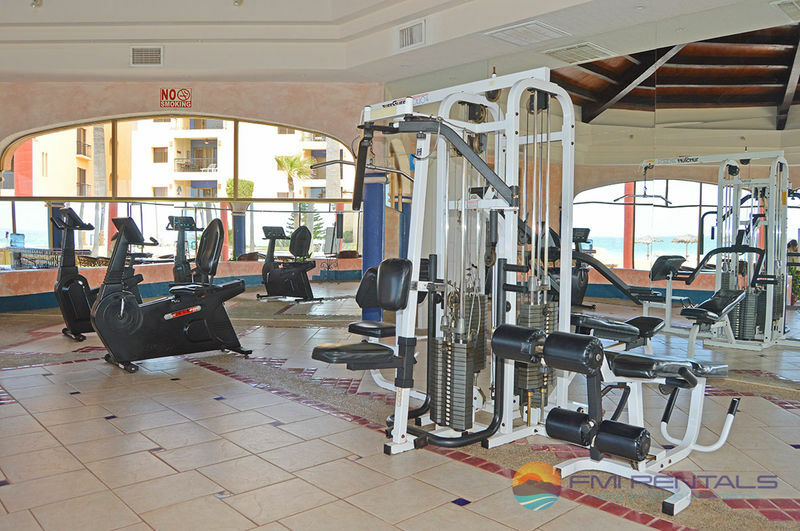 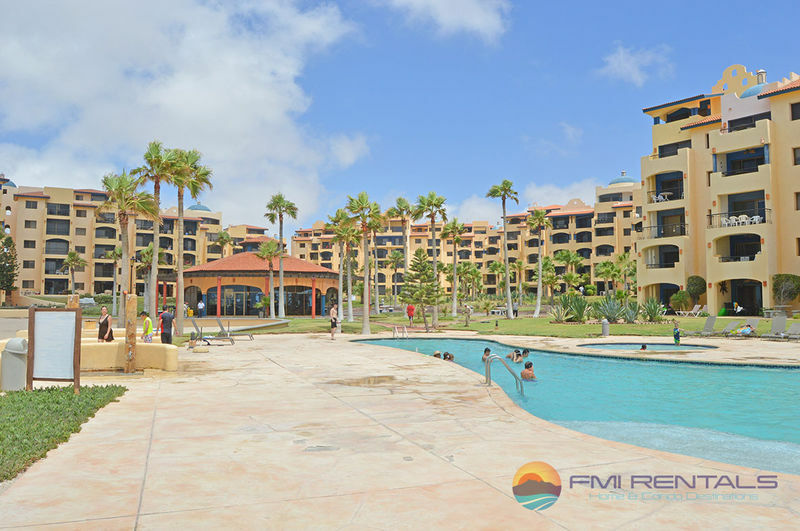 There are many Puerto Penasco vacation rentals you could stay at, but if you’re not staying in an FMI Rentals home, chances are you will be most disappointed, especially as you won’t get to stay in Princesa C, a lavish and stunning 2 bedroom, 2 bathroom condo that sits high above the land. 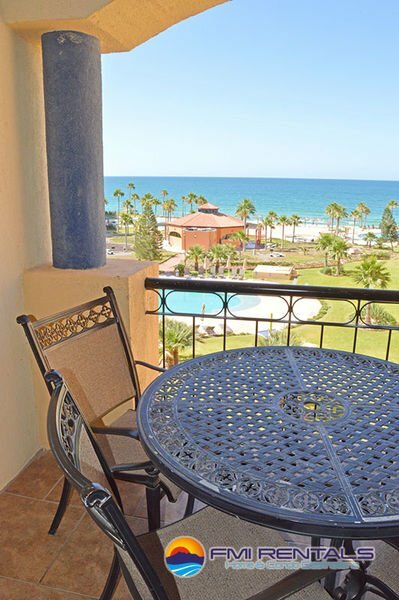 The views from the balcony of this incredible home are indescribable; miles of sandy beaches, palm trees, and the turquoise blue of the Sea of Cortez spread beneath the balcony of your vacation home away from home! 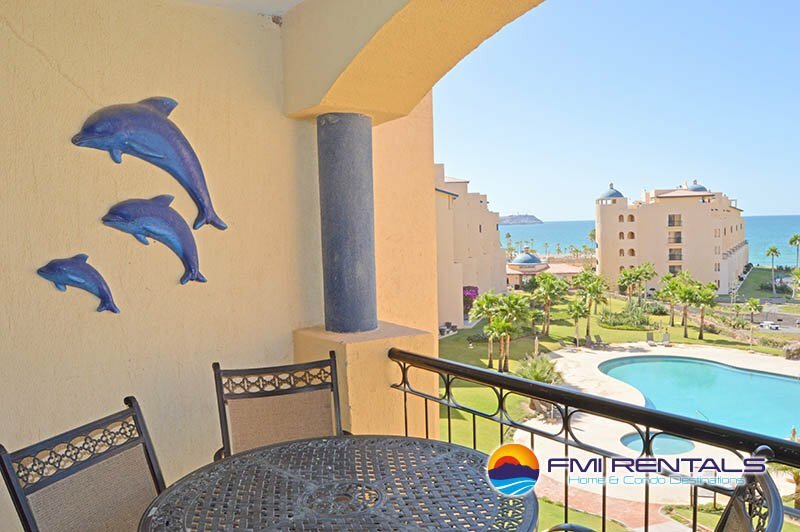 Dolphin figurines frolic on the walls near the aluminum table and chairs, adding a touch of whimsy to your breathtaking view of both the sea and the community pool that is available for use during your stay! 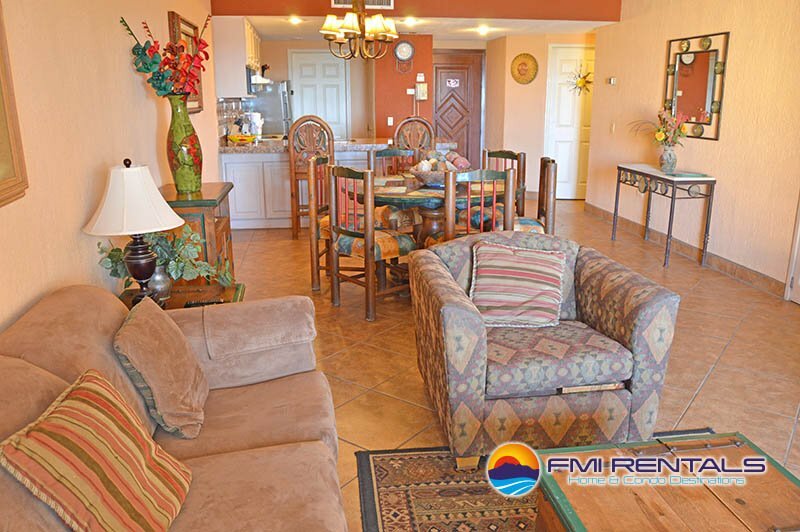 The details throughout this beautiful space remind you that you are no longer in the States; southwestern patterns on the chair in the living room, painted chairs surrounding the heavy wood dining table, and a vivid pop of warm pumpkin orange gracing the walls of the open kitchen all combine to create a space of peace, warmth and south of the border hospitality. 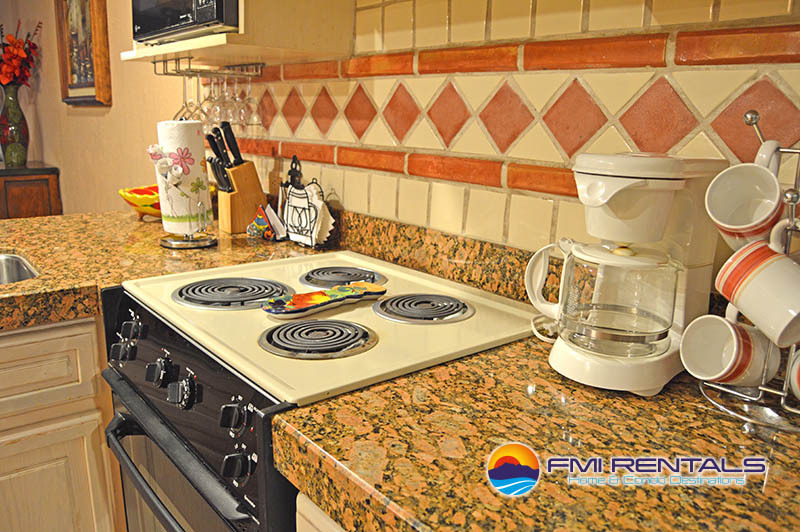 Thick modern granite countertops rest atop whitewashed cabinets and contrast nicely with the Mexican tile backsplash in this fully equipped kitchen. 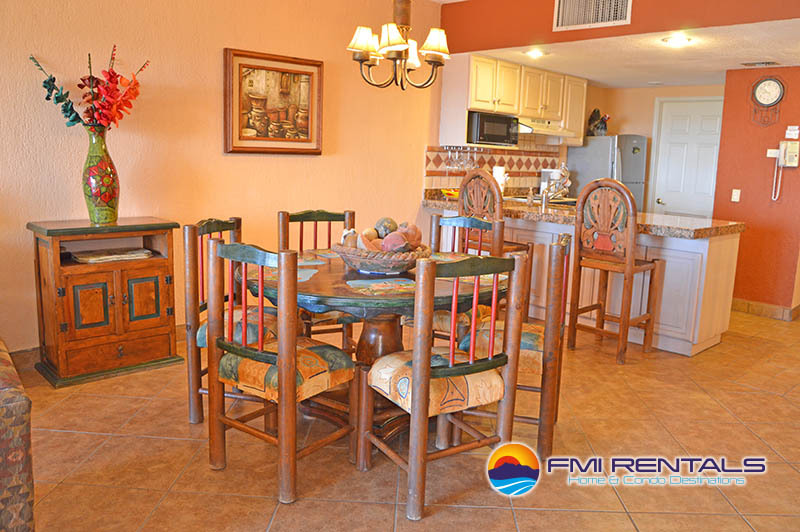 The open floor plan leads you to the aforementioned dining table, positioned in such a way to gain maximum viewing of the postcard scene outside the condo of one of the most perfect vacation homes Puerto Penasco has to offer. 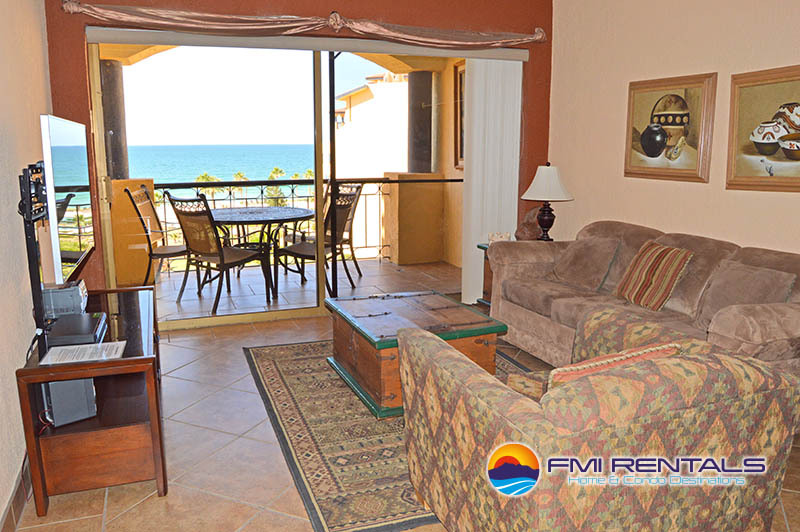 From the dining room, venture to the comfortably furnished living area that comes complete with a large flat screened television perfect for movie nights with the family, if you can tear yourself away from the star of this show - the view of the Sea of Cortez. 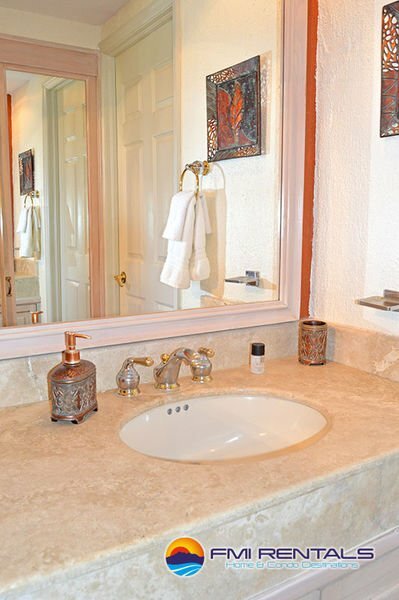 Oversized sliders open wide, bringing the outside in and allowing the salty smell of the sea air to permeate throughout the home, and also allowing you to enjoy the sound of the waves lapping against the sandy shores below. 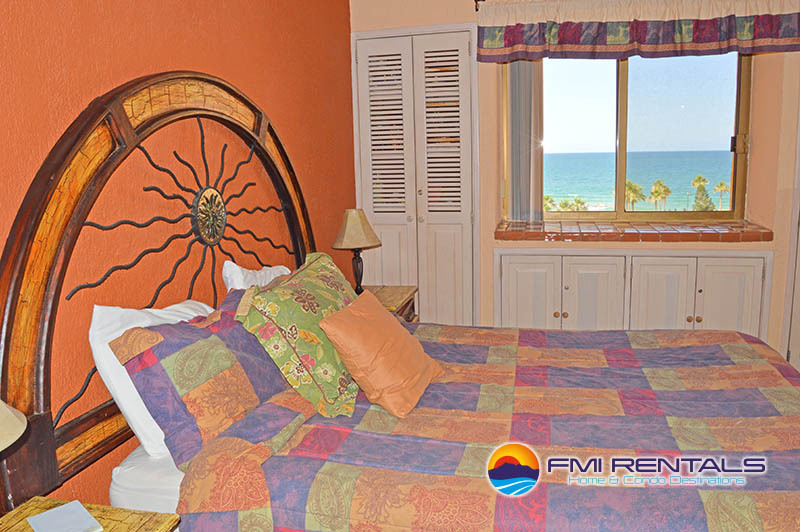 In the master bedroom, the sun looks over you - literally. 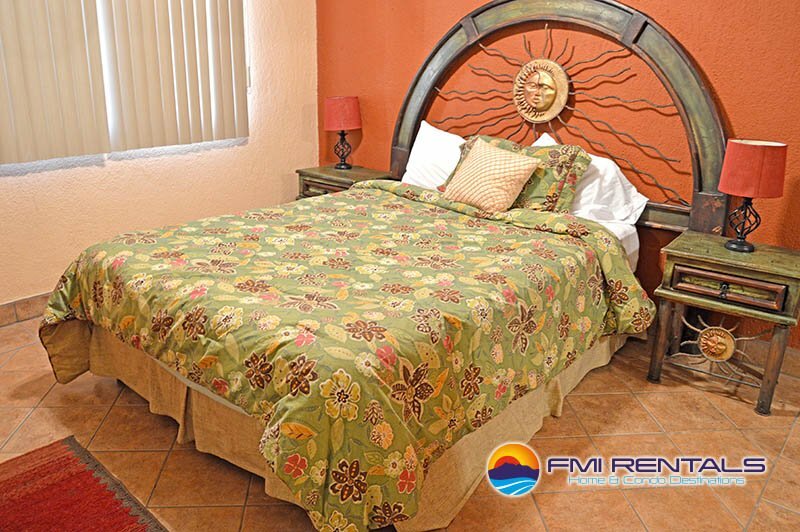 The unique wood and iron headboard with its sun sculpture in the center functions as a place to rest your head and serves as a piece of beautiful art. 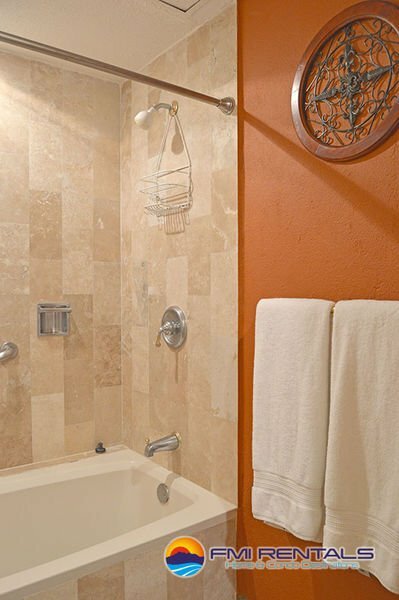 Travertine tiles on the bathroom walls encase the shower and deep soaking tub, while crisp white towels stand out nicely against walls painted in the warm hues of a delicious pumpkin pie; the beauty is in the details. 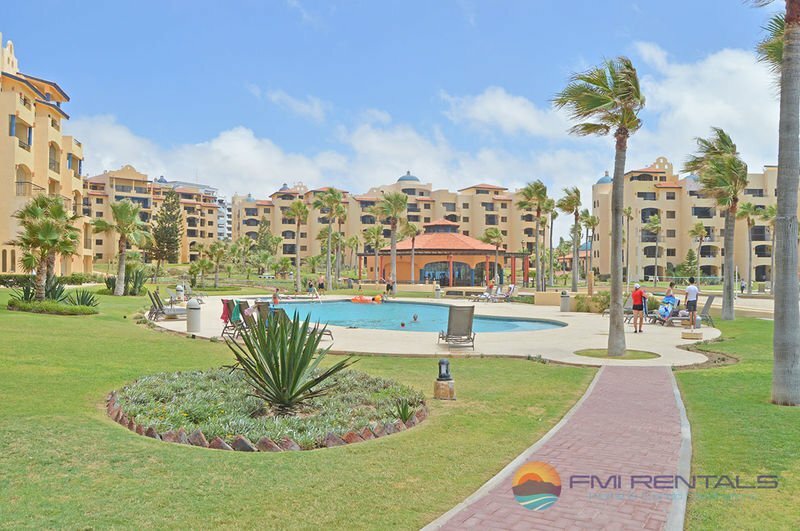 If you can bring yourself to leave the peace and tranquility of your ocean view apartment, you will find a resort of wonders outside your door. 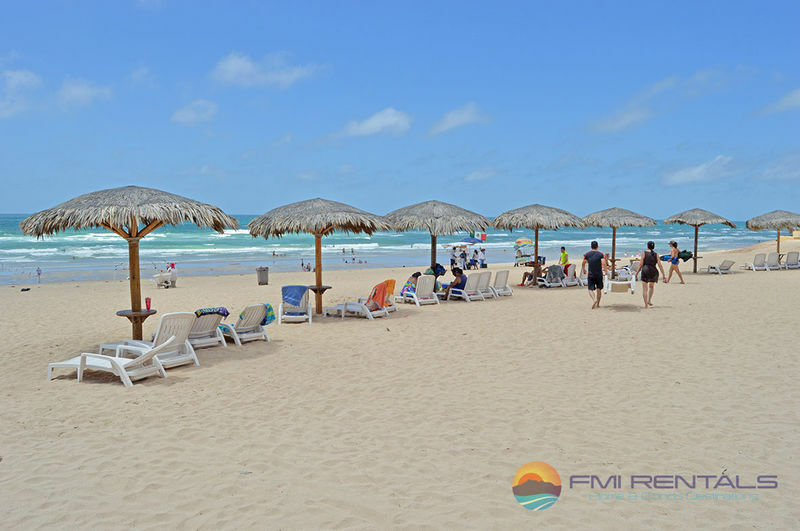 Tiki-like tables, with palm frond thatched roofs, dot the shores of the beach, creating a welcome respite from the sun's hot rays and a convenient place to put your drink! 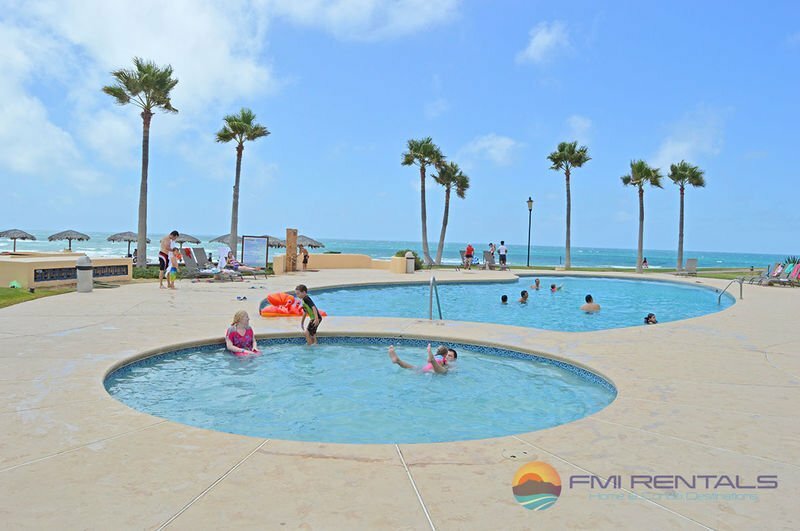 Stand at one end of the community pool and hot tub, and it will be difficult to see where the pool ends and the sea begins! 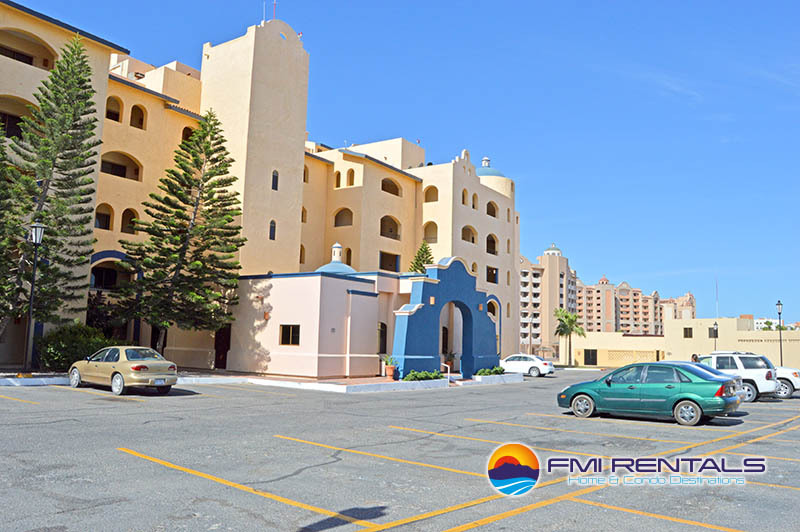 Of all the vacation rentals Puerto Penasco has to offer, this one just might be the one you come back to again and again, creating a lifetime of vacation memories in the Princesa C FMI Rentals home of your dreams.